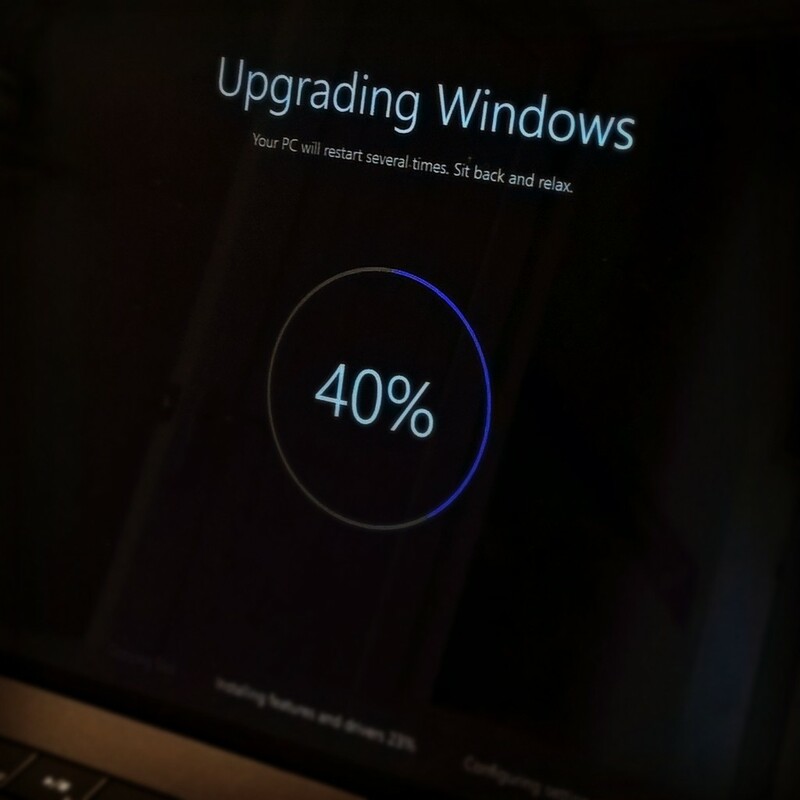 Despite the WINDOWS 10 logo appearing on all our computers, the decision was made to manually install it using the Media Creation Tool provided by Microsoft, as the only PC that got the upgrade immediately was the Surface Pro 3. It was relatively simple. On my works‘ PC, which was a custom built desktop and despite IT saying they won’t support it if anything goes wrong, the downloaded tool opened and crashed. I had to unlock and delete a temp file in the root C:\ called $Windows.~WS to allow the tool to start again. Once Windows had downloaded, the PC restarted several times with a plain, but informative installation screen. Once this was done, the PC restarted and the snazzy new sign in screen took me to Windows 10. Just like Windows 8, it shows that it’s readying Apps, but this doesn’t take long at all. This was all done in a low res screen, as it was using the Microsoft screen driver. Eventually, after around 30 minutes, Windows started and I had to install the new NVIDIA driver and hit restart. to get the specified resolution, as well as getting my dual monitor to work. Worryingly, restart was spinning for a while, before eventually restarting and all seems perfect, apart from distorted icons in the task bar. Painless, as was the process on my teenager’s Fujitsu Laptop at home. The same process is happening on the Lenovo All-in-One computer.